Because you see very little of the ductwork inside your house, it’s easy to take it all for granted. However, the design of this network of air ducts is crucial for your comfort, energy efficiency, and indoor air quality. These ducts carry conditioned air from your air conditioning and heating system, distribute it through the rooms, and then recirculate it using return air vents. 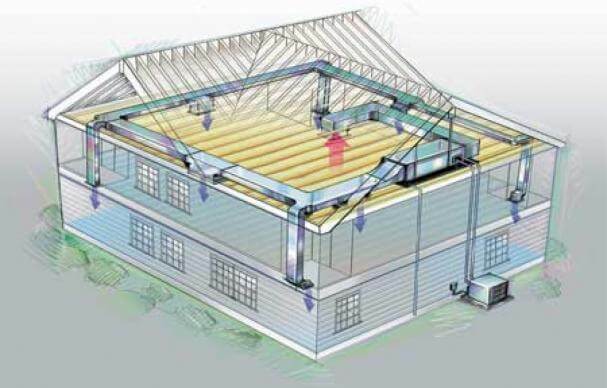 Inferior duct design will lead to higher expenses for heating and cooling your home, as well as insufficient airflow, a strained and damaged AC or heater, and even poor quality air. At Magic Touch Mechanical, we specialize in air duct designs that benefit our customers who are constructing new homes or are involved in large remodeling projects. Our team members are experienced with all aspects of working with ducts, so they know how to create a custom ventilation network that will assure your home in Phoenix, AZ has ductwork that allows for superior energy efficiency and maximum comfort. 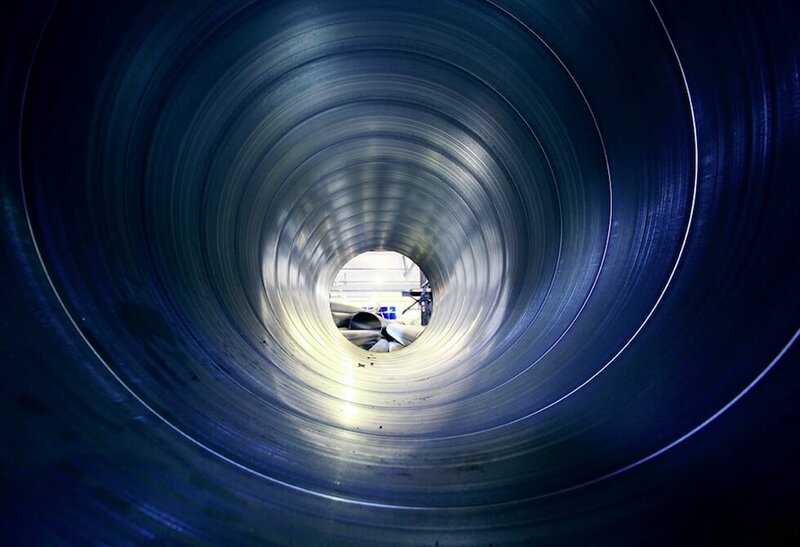 Contact us today to get started with your duct design project, and relax knowing you are in good hands. For excellent air duct design services in Phoenix, AZ or the surrounding areas, contact the experts at Magic Touch Mechanical today. Here’s a little secret you should probably know about the ductwork in homes: the majority of it is very ineffective and poorly installed. It is filled with too many turns and kinks, has layouts that do not make much sense from the view of efficiency, and the ducts are often the wrong size. Homeowners often don’t realize this because the ductwork is mostly disguised. However, this shoddy duct installation and design can account for a 30% loss of energy in the HVAC system. This is why it is so important to call on air duct design specialists who will make certain that you have ductwork installed that ideally matches your heating and cooling system and branches through your home with the least amount of air resistance or areas that can gain or lose excess heat. The professionals will see that the ducts are the right size based on special calculations, and will make certain that there is minimal danger of moisture build–up from condensation collecting inside or outside the ducts. An effectively designed air duct system will also last for many years without requiring repairs. The extra stress placed on inferior ductwork will cause air leaks that will contribute even more to energy loss as well as lead to indoor air contamination. With ductwork from specialists, you can expect to have almost no repair needs. Running through the walls and ceilings of your home is a network of metal and/or flexible plastic insulated ducts. This ductwork is important for your household’s comfort and health, since it carries the conditioned air from the cooling system (and the heating system if you use a forced-air heater) and then circulates it through the rooms. Although a few homes lack ductwork, the great majority contain it—and it must be kept in excellent repair or it will have serious negative effects on energy efficiency, comfort, and even the health conditions in a home. Ductwork occasionally requires repairs and sealing of gaps. Aging and worn ducts may reach the stage where the best option is to have them replaced entirely. When you start to notice issues in your home that may be due to poor quality ductwork, you should call for air duct replacement professionals to take care of whatever work is necessary to restore your ventilation system’s integrity. In Phoenix, AZ, the people to call for duct replacement are at Magic Touch Mechanical. We handle many kinds of services to keep ductwork in the best shape possible, including replacing old ducts with new, efficient ones. Contact our team today to learn more. To schedule quality air duct replacement in Phoenix, AZ or the surrounding areas, call the specialists at Magic Touch Mechanical. If you live in an older home, take special care to watch for indications that the ductwork is starting to deteriorate. You can’t see most of the ductwork from inside your house because it is hidden in walls and ceilings, but leaking and broken ducts will create a number of tell–tale signs, such as strange rattling noises whenever the AC or heater comes on, which warns of loose sections. Also pay attention to odd smells from the vents—musty and moldy odors, indicating it comes from between walls and other closed off areas—as well as low airflow and high energy bills. Heating and cooling bills that are too high:An ineffective set of ducts that needs replacement will lose energy along its length, and this will force the heater and/or air conditioner to work harder. You will significantly reduce your energy bills if you have the bad ducts replaced. Poor indoor air quality:You don’t want dust, construction debris, and other pollutants from around your home dragged into your ventilation system and then sent out into the air you breathe. Replacement ducts will secure the system and keep out low quality air. Inferior comfort:As air escapes from worn out ductwork, the air pressure inside the ventilation system will drop and you will experience a reduction in comfort. Conditioned air will not spread evenly throughout the home, resulting in numerous warm and cold spots. Only a properly repaired ductwork system can guarantee that your home will receive the comfort it should. To solve your home’s ductwork integrity troubles, you only have to call on the team at Magic Touch Mechanical. We will find out if you will benefit from ductwork replacement, and then provide the best job possible. We are here for all your air duct replacement needs in Phoenix, AZ. The ductwork inside your home is supposed to be sturdy and handle most of the day-to-day stresses that it encounters as it distributes conditioned air throughout your home. However, ducts can still suffer from damage due to moisture, corrosion, dust development, and issues stemming from poor initial installation. Ductwork problems can lead to many different troubles in your home, particularly loss of heating and air conditioning efficiency. You cannot make repairs to your ductwork on your own: this job requires specialists with the right tools and knowledge. To avoid making issues with your ducts worse, call on expert duct repair technicians right away at Magic Touch Mechanical. We provide many services for ductwork in Phoenix, AZ, including duct repairs. Call us today to schedule the services you need for an airtight and efficient ventilation system. If you need air duct repair in Phoenix, AZ or the surrounding areas, just call Magic Touch Mechanical and arrange for the work. Low airflow from the vents:Ducts are supposed to remain airtight along their length so there is no loss of air pressure between the air conditioner/heater and the vent openings. Even a small hole along the ducts can cause a significant drop in air pressure, resulting in a weak airflow coming from the vents. Check room vents when you notice issues with comfort in your home to see if the airflow has dropped. Strange smells from the vents:Because the ducts run through closed–off sections of your home that can contain large amounts of dust and debris, such as the spaces between walls, when the ducts suffer damage they can draw in this contamination. Along with lowering your air quality, it will create musty and moldy odors that will warn you what is happening. Soaring energy bills:Even a minor air leak in ductwork can result in a 30% drop in energy efficiency from your HVAC system, since the loss of air pressure will force both the heater and the air conditioner to work harder than they should. When your energy bills start to rise for no observable reason, call for technicians to look into the integrity of your ducts. No, you can’t reach for a roll of duct tape and attempt to fix gaps in your ducts. Not only will you have a difficult time accessing the gaps, or even finding the damage in the first place, but duct tape is not effective on ductwork. (The name “duct tape” is based on an old confusion. It’s a long story.) However, you can reach for the phone and contact Magic Touch Mechanical for duct repair services—and that’s the best move you can make. You can depend on us for all the work you may need to keep your ventilation system working its best in Phoenix, AZ.